Somatics Catalog - Product Report: "#SER70"
COROLLARY DISCHARGE, THE FORGOTTEN LINK. 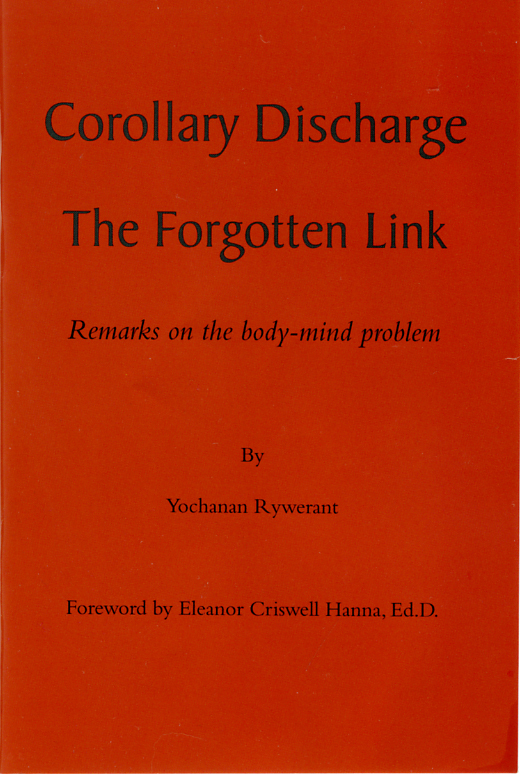 Remarks on the body-mind problem, Yochanan Rywerant. (36 pages) In his monograph, longtime Feldenkrais professional traininer Rywerant brings his mastery of the field of mind-body education to bear in understanding a very present but littlle-understood aspect of neuromuscular function. It brings this sometimes subliminal aspect of our worlds to our conscious awareness, both for the appreciation of the function and so that we may begin to make more conscious use of it, which has huge potential for enhancing motor functioning.